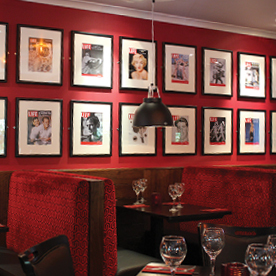 Di Maggio’s West End is set at the end of Ruthven lane just off Byres Road, Di Maggio’s serves quality Italian cuisine to the students, lecturers and families of Glasgow’s trendy West End. 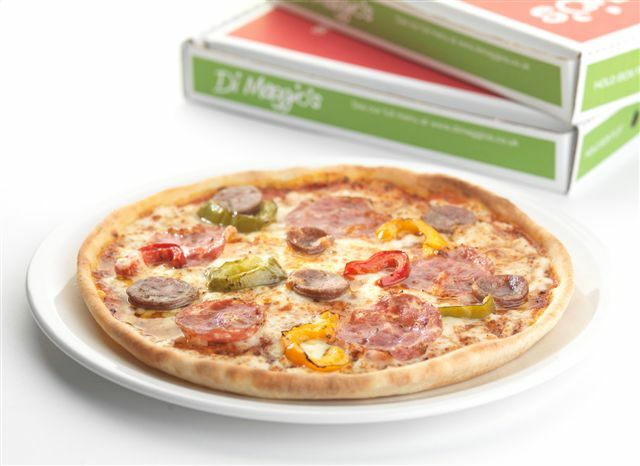 Children are particularly well looked after at Di Maggio’s West End, its recently refurbished interior now includes a kids play area complete with PlayStation2 and a selection of soft toys, perfect entertainment for the little ones while the adults relax. Private dining facilities are also available at Di Maggio’s West End, with a private room which can accommodate up to 40 guests, perfect for a family gathering, office party or corporate event. We had a nice meal and a nice time! We used to love coming to this restaurant a few years ago and it was always very busy but now the food quality is poor and the place was nearly empty which said it all. Regrettably we will not be back. Slow service. Main course of pasta was pretty much a plate of mush. Too expensive for the quality of food. The service was incredibly slow. Despite the restaurant being very quiet. I don’t mind slow service too much if I’m not in a hurry. But three different people served us and not once apologised for poor service. Food was lovely though. Food and service extremely good. Restaurant very busy and somewhat noisy with children some of which were running around the tables unchecked by their parents, which spoilt the atmosphere a little. Nevertheless the restaurant staff coped well. Always enjoy both the food and atmosphere. Service always great. Glad to see seafood pizza and pasta dishes back! Decinetly wont be coming back. Tried this restaurant because I given a Glasgow GiftCard for Xmas. When my bill came I handed over my GiftCard to be told it was declined!! I went online and showed the Assistant Manager that the funds were on the card. I Telephoned the company and they told me to tell the Manager it was a fault with DiMaggio’s. He walked away and I had to pay by Debit Card instead. Got an email to confirming The restaurant didn’t update their account!!!! I came here with my daughter and my 3 grandchildren. I was very happy with service and menu. My grandson dropped his ice cream on the floor and it was immediately replaced. I would certainly be back with or without children. As it was Christmas  eve ,thought I might have had some Christmas  atmosphere, no Christmas  songs ,not crackers on table ,staff weren't very friendly. Food and drink was good but let down with staff and atmosphere. Was there on the 22nd of December the service was great and the food was beautiful. I also met the manger who helped me out with a problem that I had , thanks to him my friend and I had a great night. Will definitely go back. Asked for Pre-theatre menu but waitress told us that she had been told to bring the main one out. No reason given. Staff were very friendly. Nothing was a bother. We will be back again in january for my birthday. Meal was good, shame about Pepsi, bit second class. Recommend this restaurant for value and service.